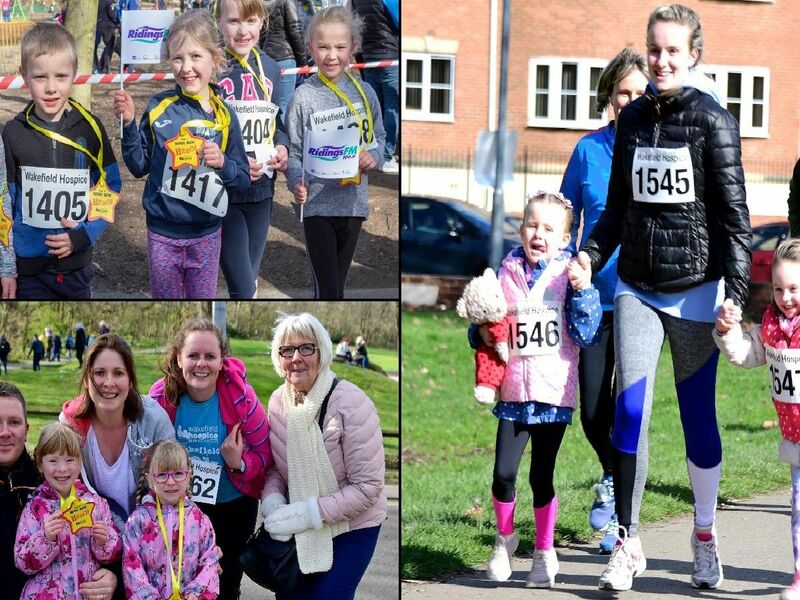 Hundreds of families joined a 1k mini run in Clarence Park yesterday to help raise money for Wakefield Hospice. The race, which followed the annual 10k event, was open to families of all ages. For a video of the race, click here. To see photos from the 10k run, visit this page. The 1k mini run was open to runners of all ages, though children were encouraged to run at the front of the pack. It was a strong start for these runners, who pulled ahead of the pack. The run was a challenge for children and adults alike. Many of the runners had completed the 10k run before taking part in the mini run.